Admit it, you’ve missed out on RFP deadlines once or twice in your life. Sometimes the RFP preparation itself is so overwhelming that we have no clue where to begin. Other times trying to gather answers from our team to complete the RFP becomes the hang-up. No matter the size of your team or company, the RFP process is never easy. It requires hours of work, reading through countless documents, and coming up with an effective response strategy that will win attention and business. But, what is the point of that valiant effort if it isn’t done on time? When you’ve spent hours and resources creating an RFP response, you want to do everything in your power to submit before the deadline—to have a chance at winning. Here are 3 steps to take well before the RFP lands in your inbox, so you can meet your deadlines every time. Because the RFP process is such a huge undertaking, usually a dedicated proposal manager or lead is the point person. SMEs also play a key role in defining RFP responses by offering their expertise. Problems arise when the lead is not clear on what the requirement is, making the SME more likely to ignore the request. Open and transparent communication among stakeholders is key for keeping the RFP process on track. The RFP lead needs to be clear on expertise needs from SMEs by asking clear questions and keeping SMEs informed about open items. Scheduling frequent review cycles and assigning specific areas of the RFP will ensure a smooth and faster completion of the RFP response to help bridge the communication gap. SMEs offer valuable input for RFP responses, however spending time on RFPs is a low-priority task on their full plate. 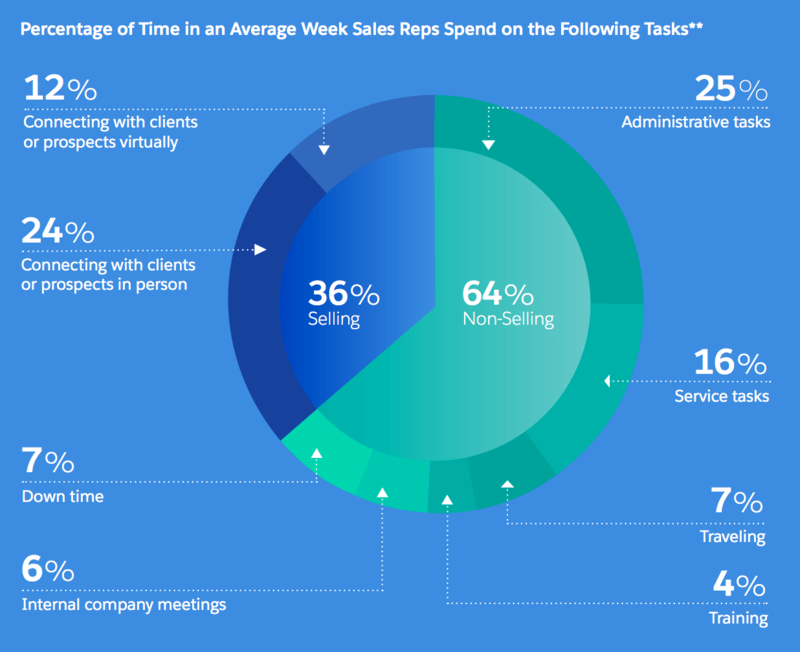 An often overlooked solution is scheduling time with SMEs to work on the proposal collaboratively —a 10-minute face-to-face discussion is a lot more efficient than an email request that is pushed aside for days or weeks on end. 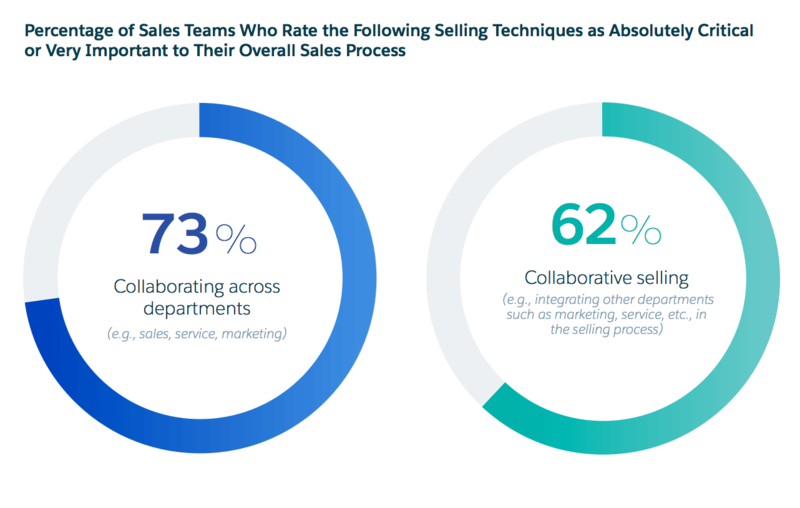 An SME’s assigned section of a sales proposal is often technical, and the jargon comes with that territory, making it difficult to write and to consume. Requesting a high level outline of the response is helpful in creating an efficient response, rather than depending on the SMEs for the whole write-up. Whether it’s a proposal writer, marketing team member, or the RFP lead, having a savvy writer polishing SME responses is the better way to go for the sake of a deadline. Your team will be happier if you leave the writing to the writers! 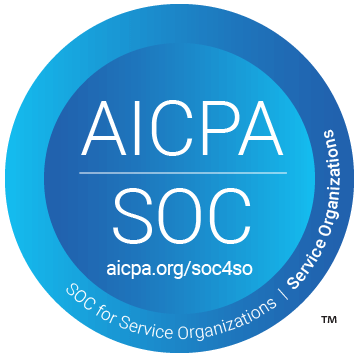 Most organizations have multiple projects happening simultaneously, with resources being utilized across tasks. Responding to RFPs almost always takes a backseat, because the team doesn’t understand the purpose of spending long hours on a proposal that has slim chances of winning. 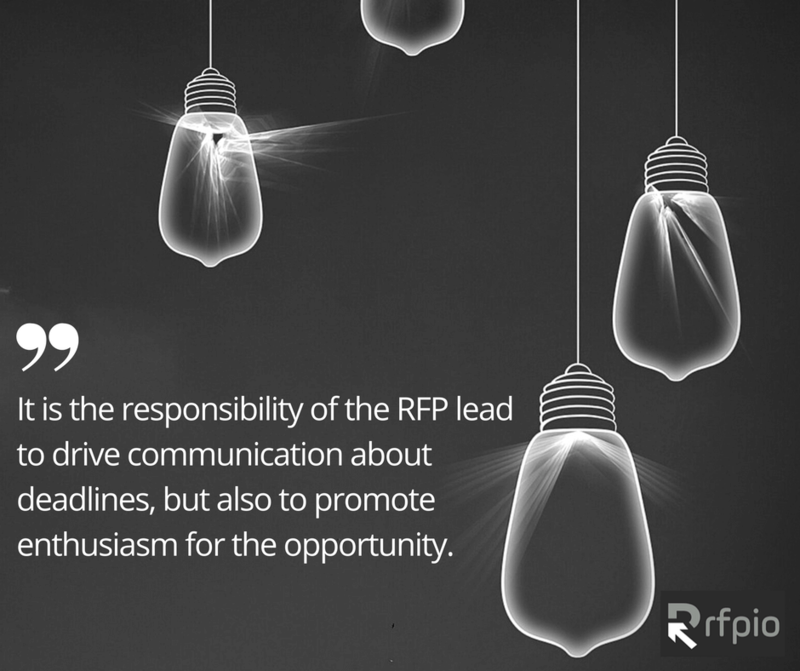 It is the responsibility of the RFP lead to drive communication about deadlines, but also to promote enthusiasm for the opportunity. 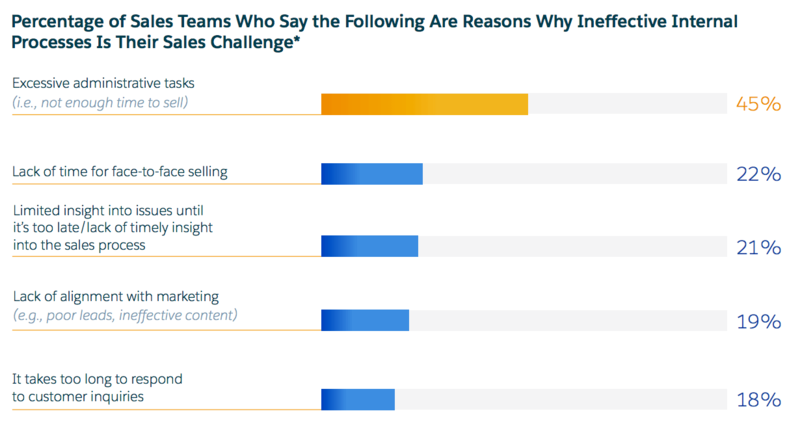 Responding to relevant proposals that your company has a greater chance of winning is critical to your win rate success, but also in building trust with your internal team. Show them why you are pursuing this business, and how that can be reflected in potential revenue. An RFP management solution will help you track and measure these efforts, but without a tool, you can share the data from your CRM’s pipeline dashboard or create a quick chart in a spreadsheet with historical data and predictions. Hard data in a visual dashboard is an easy way to align a busy team to aim for the right objectives. Responding to RFPs differs greatly from one organization to another, but aligning efforts is a non-negotiable to complete an RFP response on time. Stop and look around—see how you can take steps that will not only improve your process but also create employee advocates who understand why RFPs are golden opportunities worth pursuing. Do you have any tips or tricks that work with your team? We’d like to hear what’s working at your organization to submit your RFPs on time!